CAPINTERN is part of the Greater Prussian Empire. Members are asked to also join the Greater Prussian Forums here. "Capitalism works best because it is the only social and economic system that aligns itself with the combined human spirits of achievement, ambition, self-improvement, individualism, self-esteem, and initiative." Capitalism aims to maintain a strong economy, a decent military, and power among all nations. CAPINTERN aims to maintain this promise by promoting Capitalism, defending against its aggressors, maintaining a strong economy and strengthening business around the world. 1.Members of the alliance are to provide each other assstance if one of them falls to aggressive attack; this is not to be construed as a requirement to assist in an offensive war. 2.Members can not fight other member nations by means of (war) on pain of expulsion. 3.For all members joining after 10/10/2009 (or your IC equivalent), the maintenance of free trade with all CAPINTERN members is a necessary requirement. 1.Any new members must present an RP sample from existing RP, or pass an RP test if no sample is available. There are no waivers of this requirement, whatsoever. 2.Fascist nations, racist, white nationalist, and Nazi are not allowed to become members of the CAPINTERN. At a bare minimum, respect for the rule of law, property rights and, individual rights are required. 3.All new members are required to agree to a donation to the CAPINTERN budget on the scale of 1 billion per year (1 RL day) at the very least. This is not as much a tax (as the amount is symbolic) as a size limited to avoid third-world nations signing up. Signing up constitutes acceptance of this requirement. 4.All new members are to establish a free trade/tariff-free zone with CAPINTERN members. 2. Economic stability/growth through free trade. The CAPINTERN Air Force is not designed for independent operations. It is designed to operate in conjunction with member-state air forces in humanitarian relief, COIN, and national defense operations. 4,000 SU-25AL "Flying Tux" (Allanean-modified SU-25, donated from storage). 1,500 Minuteman III ICBMs modified for high-precision conventional strikes. Last edited by Allanea on Sat Sep 15, 2018 6:52 am, edited 233 times in total. Was i expelled from the alliance? Urmanian wrote: Was i expelled from the alliance? I was too, by the new dictator. Please TG me. May i join this organization? I have had difficulties with COMINTERN states in the past and would be eager to join. Industrial Enigmatics is a corporation, thus, we have one simple question before commencing the application process, do we apply utilising the NATION form, or the ESTABLISHMENT form? We look forwards to hearing from you so that we may begin the process in earnest to open up oppertunities for all concerned. Geological Waste Disposal Corp.-----Mine Clearing Mechancials. Do you have an RP sample to provide? We have experience with Brogavia as an excellent roleplayer. Please feel free to join. This depends. Is IE a sovereign corporation, like Vault Ten's ALC, or ZMI Inc.? Then it joins as a nation. If it is not sovereign, it joins as an establishment. "When the cavalry needs cavalry someone f' up." Birkaine is accepted. Is the sum listed a per-annum donation, or shall the per-annum donation be 1 billion/year as outlined by the rules? Allanea wrote: Birkaine is accepted. Is the sum listed a per-annum donation, or shall the per-annum donation be 1 billion/year as outlined by the rules? After much consideration by the Board Of Directors of Industrial Enigmatics, it has been decided, that we will embark upon the application process to CAPINTERN, to broaden our horizons and oppertunities, whilst providing support to a worthy, yet powerful and secure, organisation. As an independant body, free from the ties to a national body that most corporations are subject to, we are applying, as directed in our previous query, as that of an independant international entity. Please find our application form, with the appropriate references, enclosed withen this message. OOC: I utilise my original nations statistics for my endeavours, Industrial Enigmatics serves as my up to date "face" as it were http://www.nationstates.net/nation=a_ut ... viet_union. Views on Capitalism: Laissez Faire Capitalism, Objectivism Guided By Morality And Ethics. WA Government Classification: Corporate Bordello. National political party in power: N/A The Corporation Is Governed By The Board Of Directors. Donation to CMFOU: 1 Billion USD. Level of membership: Full Membership. Additional nations to be submitted under the IPA: N/A. OOC: Examples of my RP'ing under my previous account, http://forums.joltonline.com/showthread.php?t=581884, http://forums.joltonline.com/showthread.php?t=574245. Last edited by Industrial Enigmatics on Sat Oct 10, 2009 12:45 pm, edited 1 time in total. After long deliberation, we decided to accept you to the CAPINTERN as a nation, rather than add you in the 'Establishment' department. Views On Capitalism: Capitalism is the best economic system ever created! Gondor, please provide a link to an existing RP. Views on Capitalism: Accepted as the best economic system. Can you provide any links to your RP posts? Allanea wrote: Can you provide any links to your RP posts? Here's one http://forum.nationstates.net/viewtopic.php?p=691469#p691469 If you need anymore feel free to ask. Brewdomia is accepted, but membership benefits will kick in only after the end of its current war. OOC: Weren't you, you know, deleted? Allanea wrote: Gondor, please provide a link to an existing RP. I'm a good RPer, just check out a forum where I was RPing as one of my other nations, Kalakda. I've done my 5-day wait, have I been accepted as a full-on member? Only if it’s discovered that it’s inhabited by trolls. Thread starter and proud owner of the Religious Schools, Death Penalty and Where are my Reparations. Rashuta, Goldsaver , Bergnovinaia all have embassy in the United Surote Emirates. 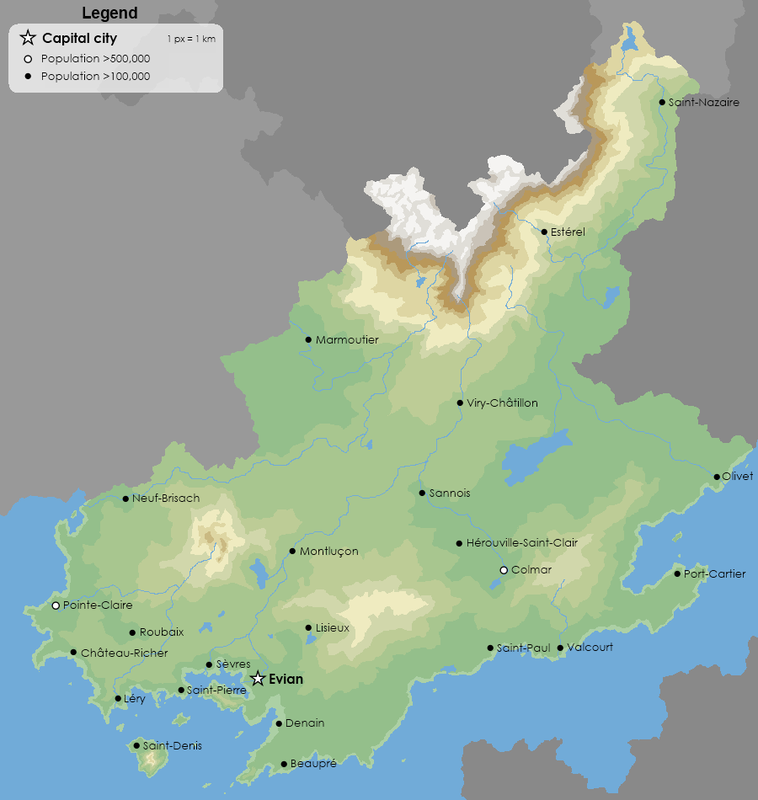 Gondor and Valepian ISlands: Please provide links to RP's.